Doctors generally suggest regular activity is good for the body and mind, but as bodies age, keeping an exercise routine may prove difficult. 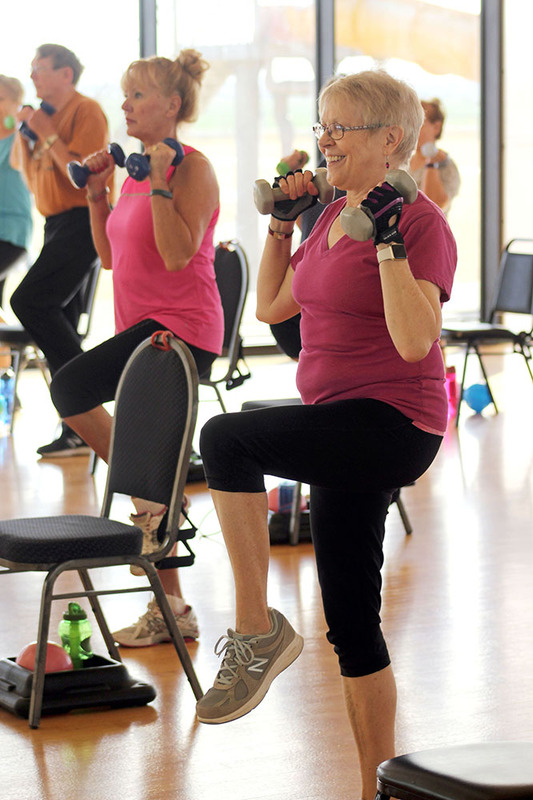 Only 28 to 34 percent of adults ages 65 to 74 are physically active, according to the U.S. Department of Health and Human Services. Silver Sneakers is a program that offers free access to athletic classes and is often covered by Medicare and other types of insurance. 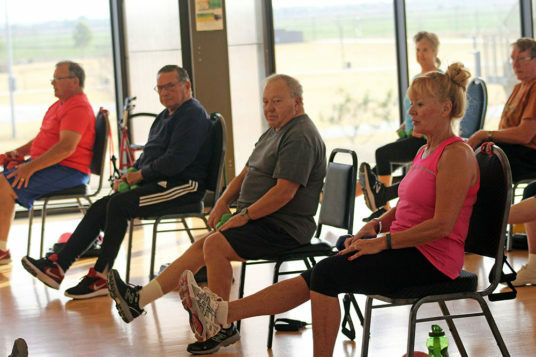 Copper Sky Recreation Center and Anytime Fitness provide Silver Sneakers classes in Maricopa. 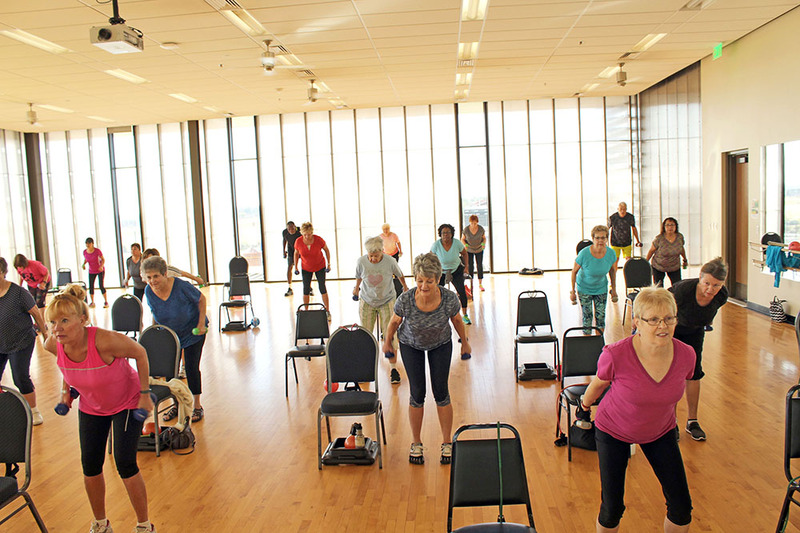 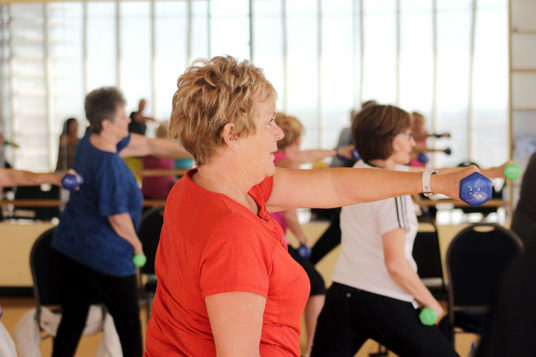 “It’s primarily designed for adults age 65 years and older, but it’s just a low-intensity exercise program that is really appropriate for a lot of different populations,” said Stephanie Murphy, Silver Sneakers instructor at Copper Sky. 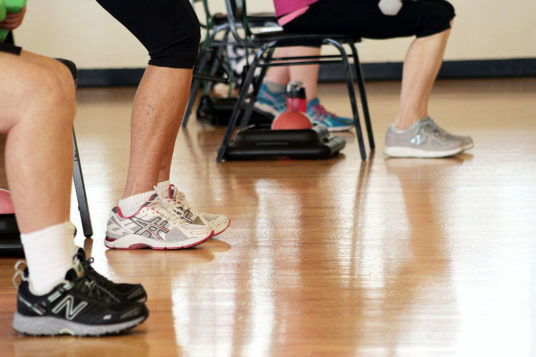 Murphy said the program is also beneficial for people with physical limitations and disabilities, regardless of age. Copper Sky morning classes meet upstairs in a large dance studio at 9:30, Monday through Thursdays. Led by Murphy’s direction and motivated by an upbeat, music playlist, participants transition from standing to seated exercises. 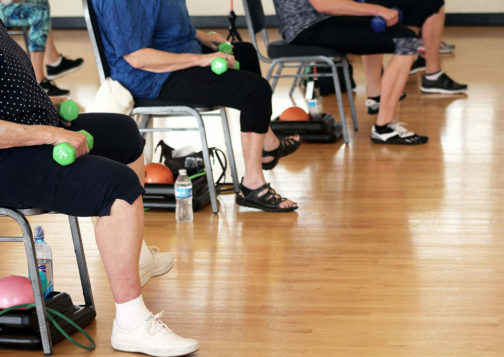 “There are a lot of options and a lot of variety in terms of exercise that are available and different modifications that people can do,” Murphy said. 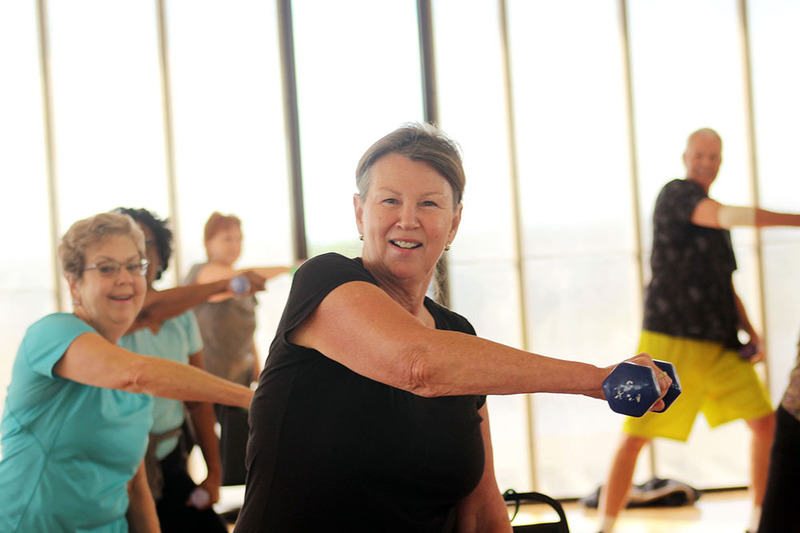 It’s not just classes but a general health program. When 88-year-old Bryan Mitchell moved to Maricopa a couple years ago, he checked out Copper Sky’s resources. 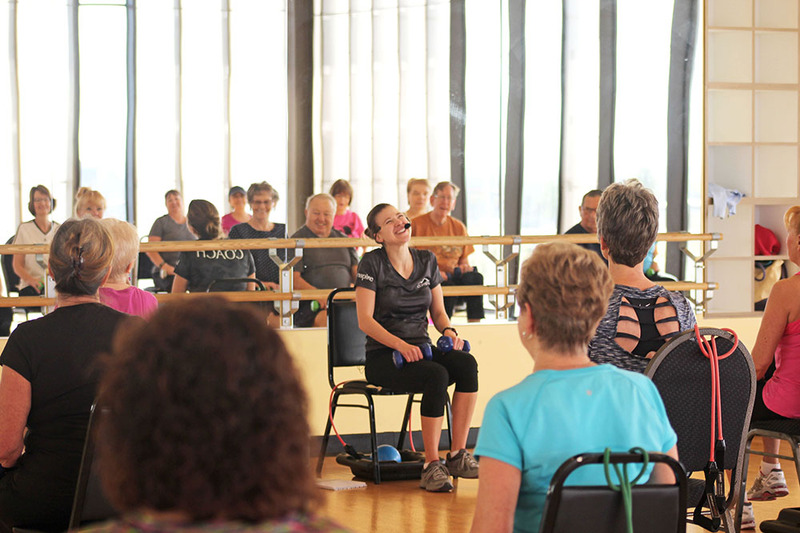 Murphy has taught Silver Sneakers classes for a year and a half and said she frequently sees improvements in balance and flexibility. 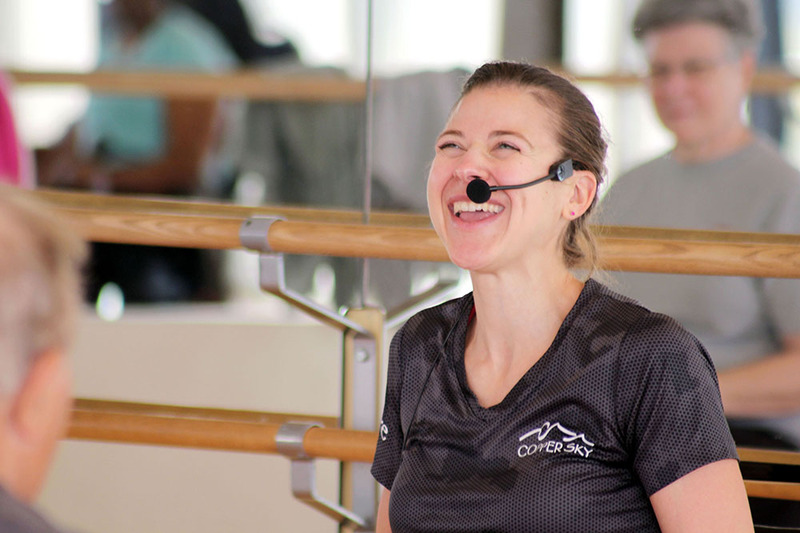 Copper Sky offers four Silver Sneakers classes (classic, cardio, circuit and splash). “I love being able to make the joy of exercise accessible to people of all ages and abilities and fitness levels,” Murphy said.